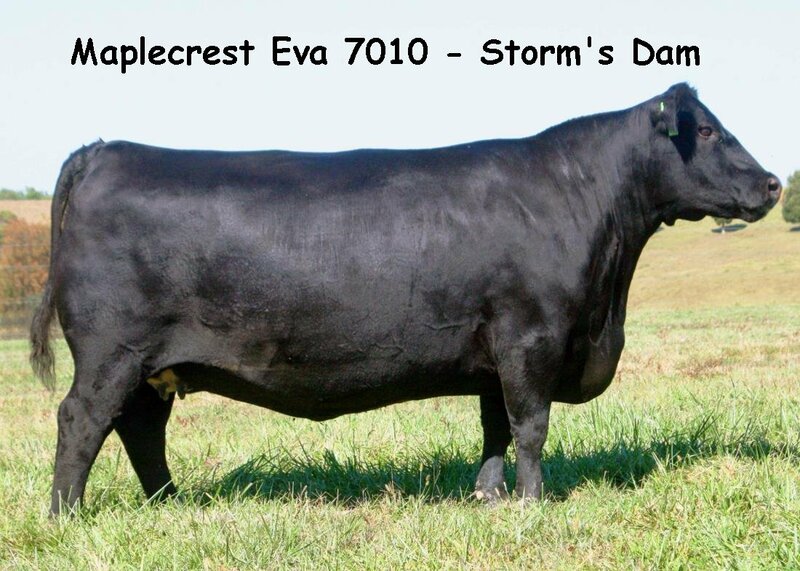 � Storm is a high marbling, elite genomic Rampage son that exceeds expectations for every performance and carcass attribute plus a Top 10% for heifer pregnancy EPD. � His proven dam is possibly his greatest asset bringing all of the performance and maternal goodness of TC Total. 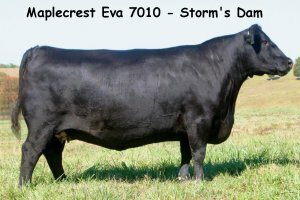 � Maplecrest Eva 7010 has surpassed $350,000 in progeny sales, including the $84,500 half-interest selection of Bar W Angus in the 2017 High Roller sale, a full sister to GAR Storm.